The Jewish community of Rochester, New York welcomed COR – The Kashruth Council of Canada, for a Pre Passover community event on Sunday March 31st at Congregation Beth Sholom. 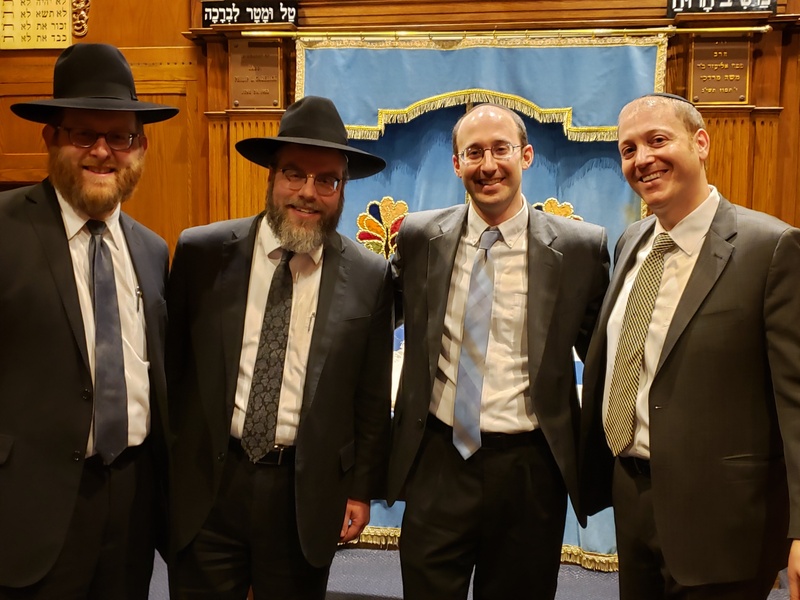 Rabbi Tsvi Heber, COR’s Director of Community Kosher, Rabbi Dovid Rosen, COR’s Director of Industrial Kosher and Richard Rabkin COR’s Managing Director traveled to Rochester to share their expertise and help the community prepare for the upcoming Passover holiday. Rabbi Rosen went through a PowerPoint presentation outlining the most frequently asked Pesach questions. Rabbi Heber conducted a live seminar demonstrating how to check romaine lettuce – and other produce – to ensure that they are insect free. Rabbi Rosen invited those in attendance to contact COR’s text-a-rabbi service with their questions. He said that last year on erev Pesach alone he answered 800 questions and he said that this year he wants to see questions coming from Rochester. “I am going to be looking for questions coming from the 585 area code!” Rabbi Rosen said.